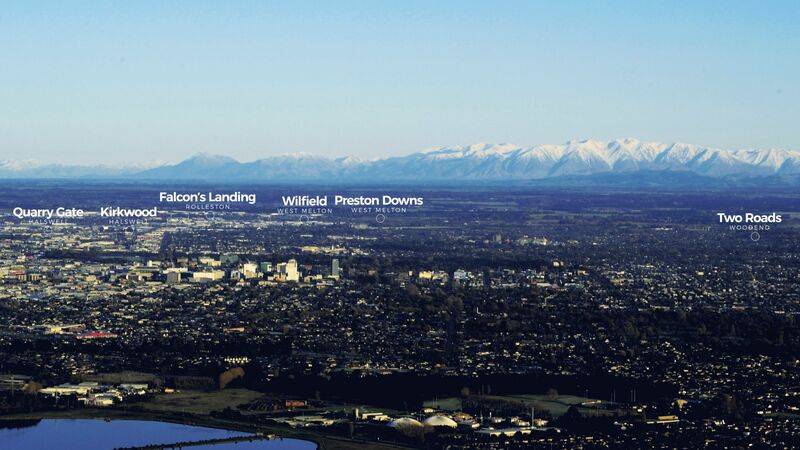 find your section in a quality residential subdivision, Christchurch and Canterbury wide. Transport Minister Simon Bridges and former Prime Minister John Key were among dignitaries who attended an event on November 4 2016 to mark the start of construction on theChristchurch Southern Motorway Stage 2 (CSM2). Ngai Tahu/Ngai Tuahuriri representative, Kaharoa Manihera blessed the site during the event, which also saw 25 native skinks released into a habitat especially built as part of the project. The $195 million CSM2 is part of the government’s Christchurch Roads of National Significance programme, a $900 million plan to make it easier and safer to travel throughout Christchurch and the Canterbury region. The project will four-lane State Highway 1 from near Rolleston to Robinsons Road and see a new section of motorway builtto Halswell Junction Road. vegetation and relocating fencing and utility services as work gets underway. The CSM2 is expected to be open to traffic in 2020. Yoursection.nz have been creating residential subdivisions in Christchurch and its surrounds since the year 2000. Nearly 20 subdivisions over 17 years has provided us the knowledge, experience and a proven track record for bringing you a high quality result. Our key point of difference is that we like to embrace the natural feel of the land and the features on offer. We enhance the look of the areas we develop and we believe in the New Zealand lifestyle which includes rustic space and green rich countryside. We are not trying to bring the city to the country, but instead give you the best of both worlds.